A panorama of the MH2 room with the ADMA team setting up the livestream gear. 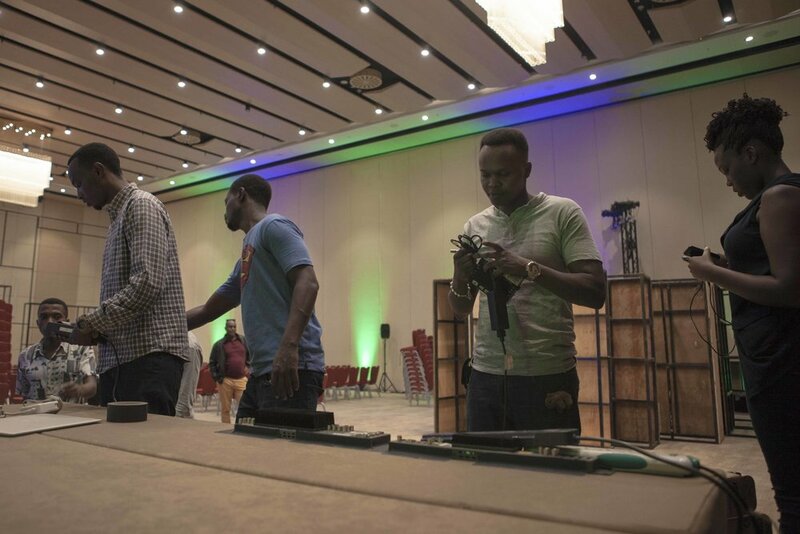 All day today, ADMA was at the Kigali Convention Center preparing the livestream setup for next 3 days of Youthconnekt Africa Summit '18 from the room MH2. 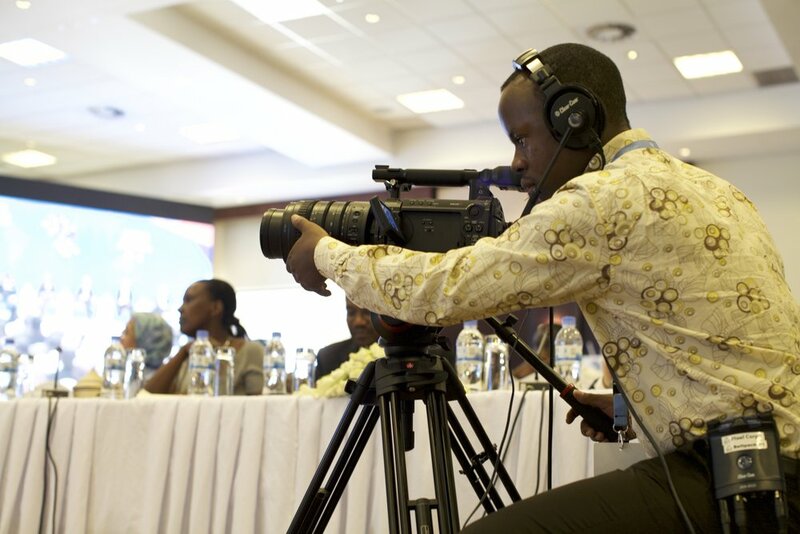 ADMA will be working alongside the national Rwanda broadcaster RBA to bring the event live across the world over Facebook and YouTube. ALL of the livestreaming equipment, from cameras, to comms, to switchers, to hardware encoders, EVERYTHING is being setup and operated by current or former ADMA students. We are proud and honoured to be a part of this great event! Alex behind the switcher with Resident Instructor Ryan Yewell taking a pic of some onscreen info. 5 years ago, Alex Lindsay did yeoman’s work bringing livestreaming, event screens, presentations, cameras, switchers, etc. 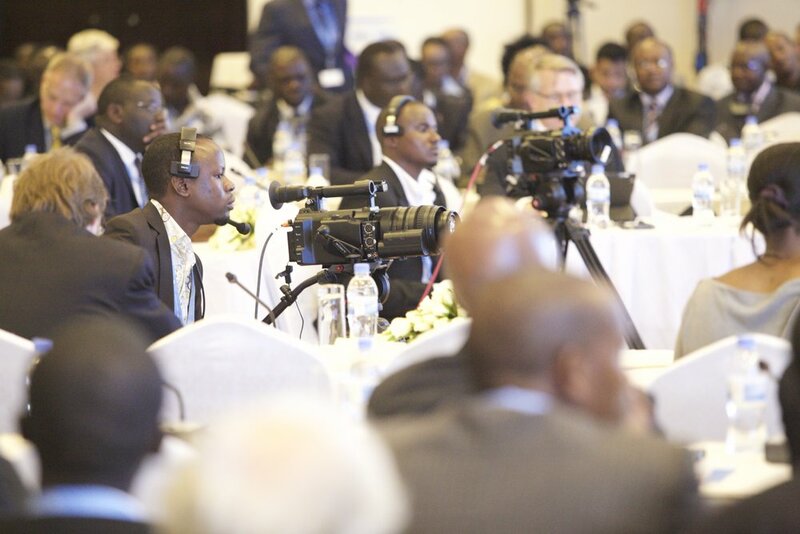 along with a completely green Rwandan ADMA student crew together for the inaugural Transform Africa 2013 at the Serena Hotel in Kigali, Rwanda. 5 years later, current and former ADMA students are running their own livestreams, top to bottom in every position, with that same gear he brought with him to make it possible. 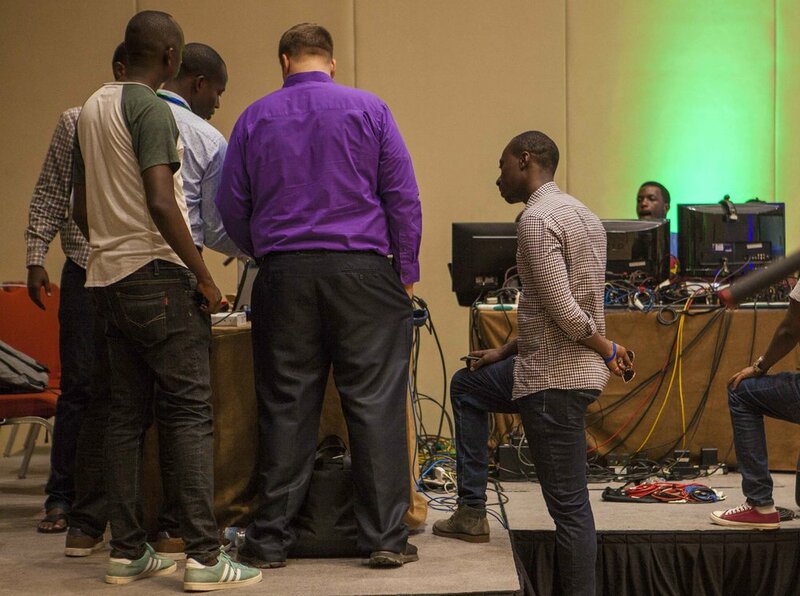 Today, ADMA setup out livestream at the crown jewel Kigali Convention Center, and will be running all livestreams from MH2 for the next 3 days. 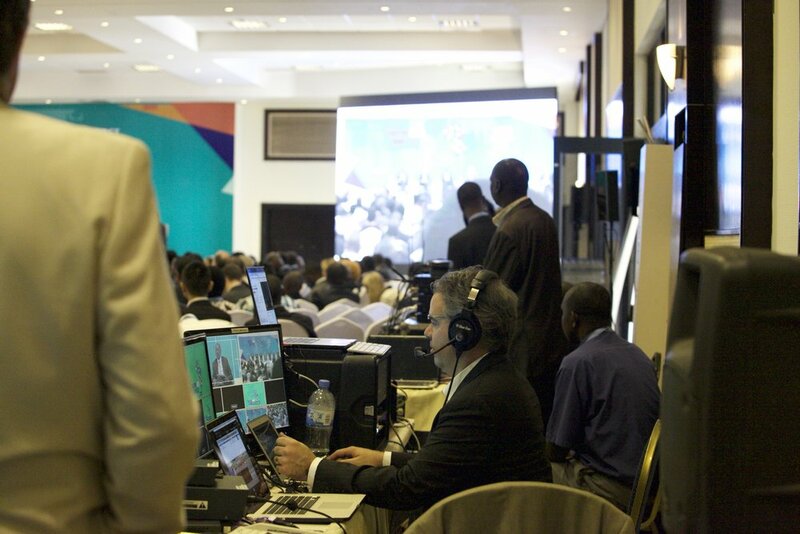 Rwanda’s national broadcaster, RBA, is doing the other livestreams from the Auditorium and MH1. All of this thanks to that one moment in 2013 with Alex at the helm with ADMA Director Christopher Marler laying the foundation and preparation of the learning environment at ADMA.